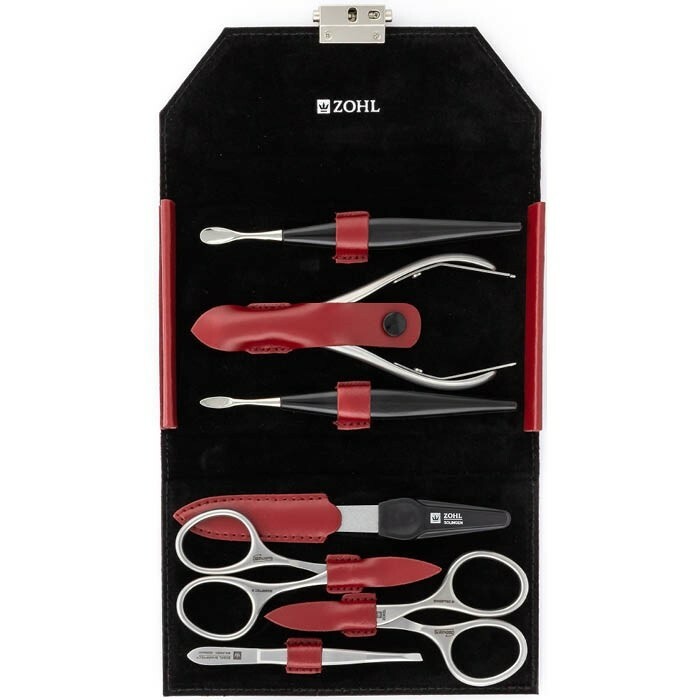 ZOHL introduces professional Solingen manicure set for women who like to detail their cuticles with the best cuticle cutters. 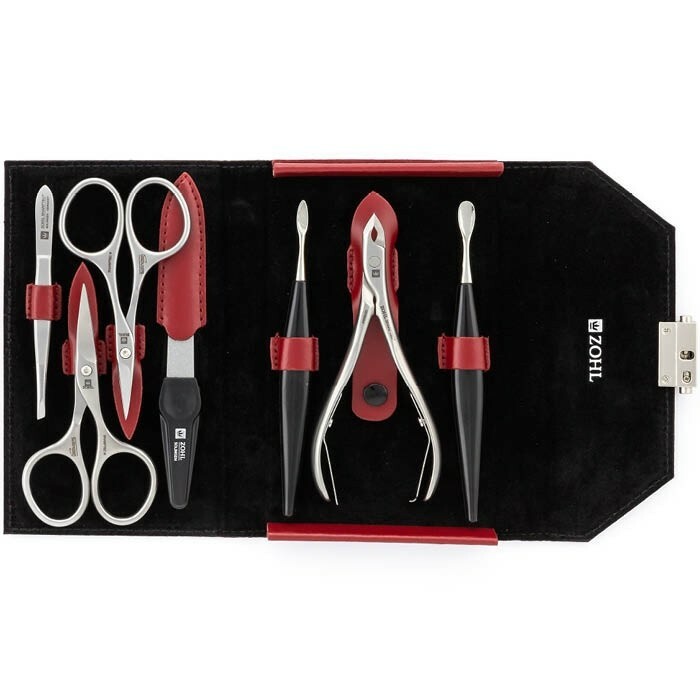 Complete with 7 surgical stainless steel manicure instruments, the set features the highest quality cuticle clippers, extra slim cuticle scissors and professional nail scissors among others, for maximum precision. The Grazia is hand made in Solingen (Germany) – the motherland of the finest cutlery, pedicure and manicure tools, professional surgical instruments where immaculate sharpness and long lasting durability is a must. 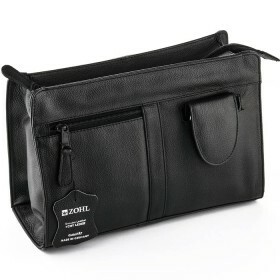 Manually honed blades ensure a clean and easy trim for many years ahead without any need of re-sharpening. 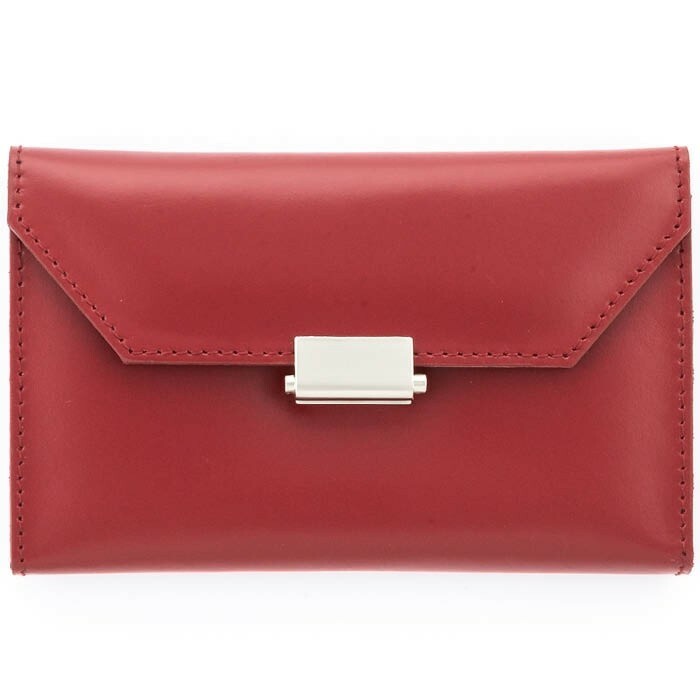 Red leather case makes it an elegant accessory for your nail care regimen and a luxury gift for a woman on Christmas, Birthday or Mother's Day. 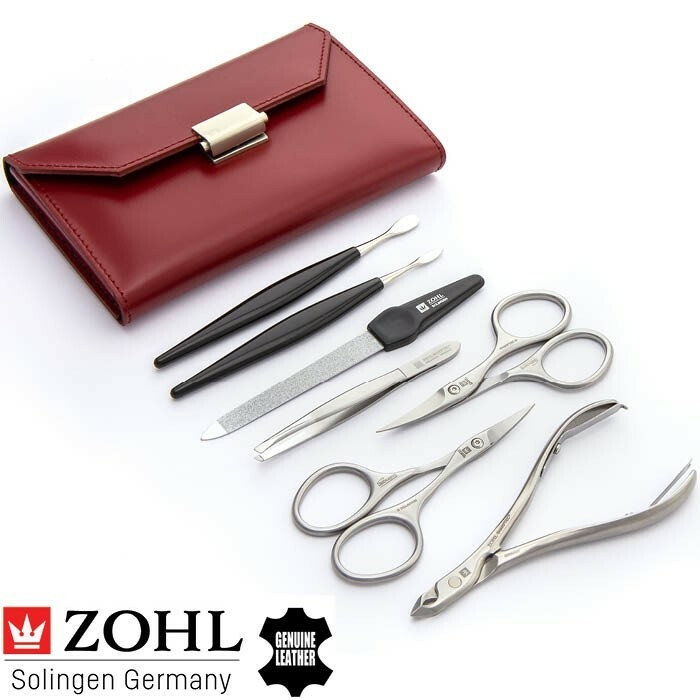 German made manicure set Grazia by ZOHL is the exquisite collection of the best manicure instruments SHARPtec to maintain your hands in beautiful shape. 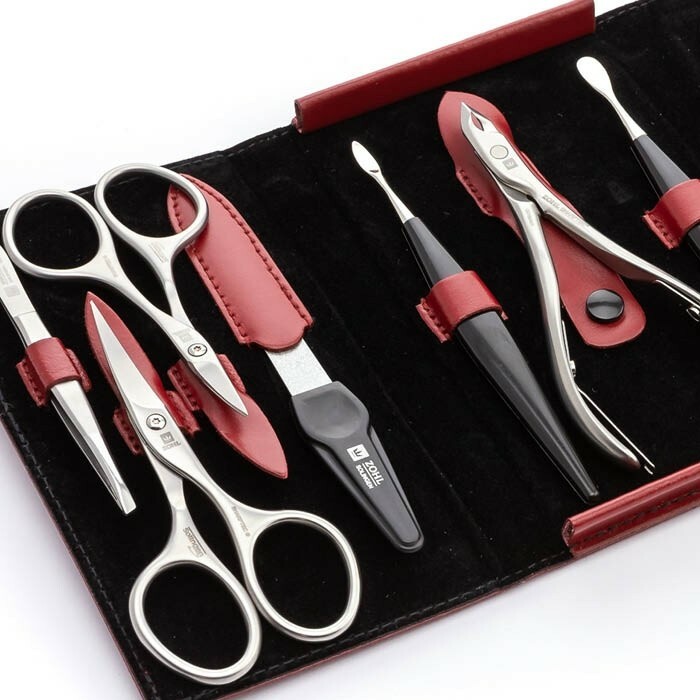 It is manually crafted from specially hardened stainless steel approved in the finest surgical equipment and delights with perfectly sharpened cutting edge – the feature only the highest quality manicure sets boast. Not only the blades are sharp, they also stay sharp for a very long time retaining original cutting abilities despite of regular use. Authentic Solingen craftsmanship furthers Grazia's premium standing. 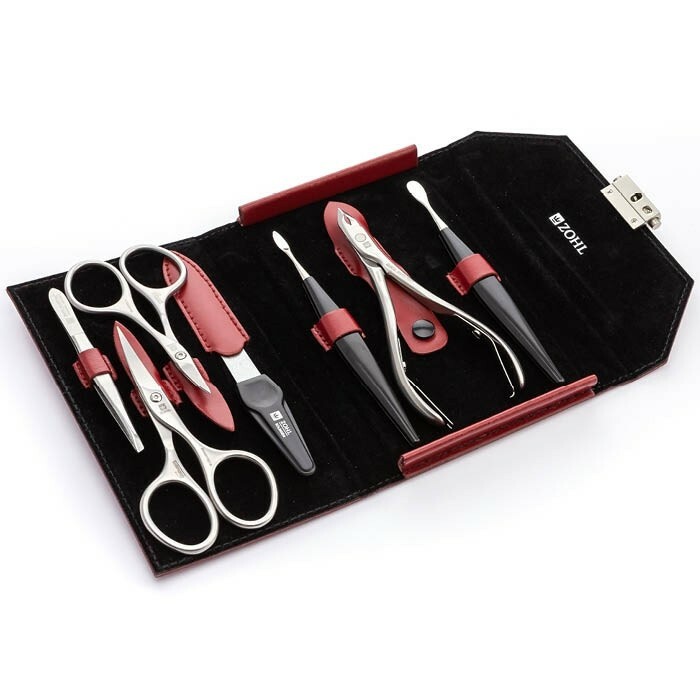 Solingen manicure and pedicure sets are traditionally regarded as the best in class, the best of their kind when it comes to reliable, neat and durable performance. 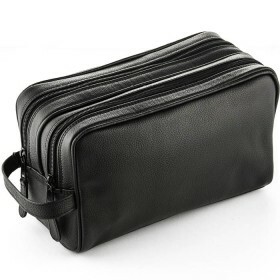 Being an exclusive Solingen nail kit, it inherits the finest properties of the world's best nail and cuticle clippers, scissors, and other manicure tools which deliver the most precise professional nail care without any need of going to the salon. 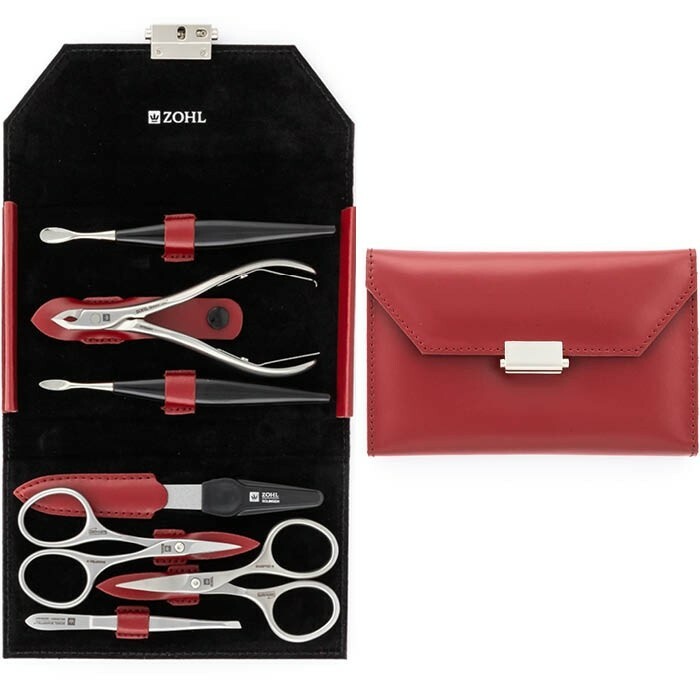 The nail instruments nestle in the stunning red leather case which secures each tool in its individual loop for extra protection of the blades. Ideal gift for a lady who knows that the best nails and cuticles are created with the best manicure tools and trusts only the highest German quality close to her skin. 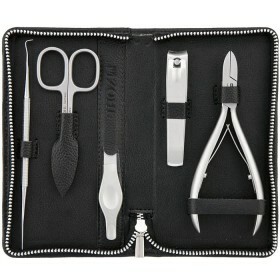 Professional Cuticle Clippers (11 cm) – with double spring for easy operation and small, perfectly sharpened blades for the maximum precision. Cutting space length approx. 5mm. 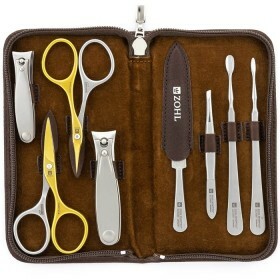 Extra Fine Cuticle Scissors (9cm) the manicure scissors with the thinnest blades in the ZOHL collection, with slightly curved blades to follow the natural shape of the cuticles in the nail bed. 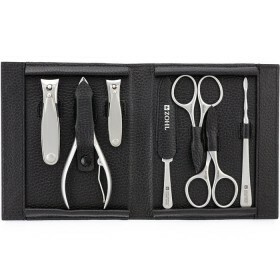 Due to very slim design, it is recommended that the scissors are only used to trim cuticles, and not nail, for long lasting service. Sapphire Nail File (12 cm) with a double sided stainless steel blade that works for shortening and smoothing nail edges, even on toenails. 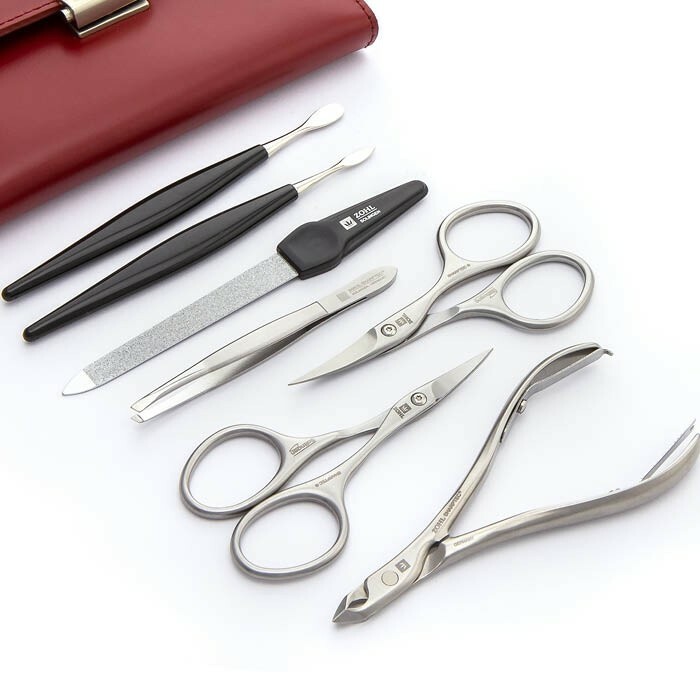 Thanks to nickel free and rust proof nail care instruments stable for professional sterilisation, the Grazia manicure set ideally suits ladies with sensitive skin, fungal nails or those who like to bring their own set to the salon to ensure better hygiene and exclusive use on their hands only.